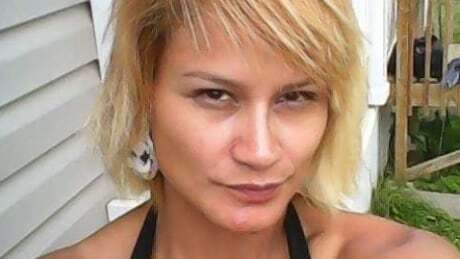 The woman shot to death this week on a reserve west of Edmonton was a young mother named Ellie May House, friends and community members say. The RCMP major crimes unit has been investigating the 31-year-old woman's death on the Paul First Nation reserve since early Tuesday morning. Family friend Rod Burnstick said when he learned of House's death, his first thought was about the young son and daughter she left behind. "She was very motherly," Burnstick told CBC News. "There was a respect that she had, just a respect for other human beings. That's the kind of person that she was." RCMP have said the killing was an "isolated, and purposeful incident" and that an autopsy concluded the victim died of a gunshot wound. Suspects were seen driving off in a black, four-door Ford truck with tinted windows and are thought by police to be in the city of Edmonton. While friends and others have identified House, police have not officially identified her as the victim. Burnstick said when House was a teenager, she volunteered to babysit his toddler. "I was a struggling single parent and I needed help with my daughter, she was willing to come forward," he said. "She never asked for any money. She never asked for anything. "That's what we do as a community. We help one another." ​When House started her own family, he was confident she had the potential to be a good parent. At one point, Burnstick was neighbours with House, her children and their father. He said he often saw the young family playing in their yard. Longtime friend Larissa Bull said House loved being outdoors, usually with her children. Bull said her eight-year-old daughter is friends with House's daughter. They would all do activities together, such as berry picking, Bull said. And the two little girls would often play together while their mothers did chores. "She kept her yard really nice and perfect," Bull said. "She was always outside working. "The grass was always cut. She was always chopping wood." Police have said the killing was not random and there was no indication of any threat to public safety. "Even though she faced challenges and struggles in her life, she won't have the opportunity to grow and overcome them," said Burnstick, who later moved off the reserve. "And you know what? I think she was on her way there." "How she passed was so shocking, I still can't believe it," Bull said. "It didn't have to happen. Her life was stolen from her." In addition to her two children, House leaves behind others who loved and will miss her, Burnstick said, including her children's father, her own mother and numerous family members. Police are asking anyone with information about the homicide to contact them. Paul First Nation is about 70 kilometres west of Edmonton.